Evoking ocean currents and tidal flux, All Things offers transcendence in poems of loss and evolution that reflect the author's gaze in a world both familiar and vanishing. 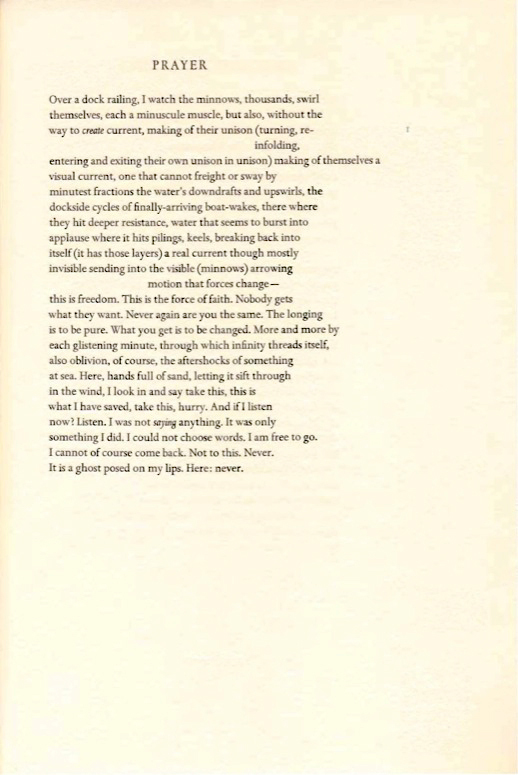 These poems demonstrate "the vaulting mind and the universalizing voice" that Helen Vendler finds in Graham's writing. 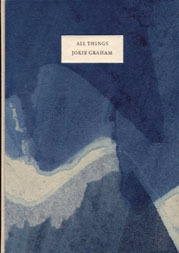 All Things has been letterpress printed in an edition of 315 copies. 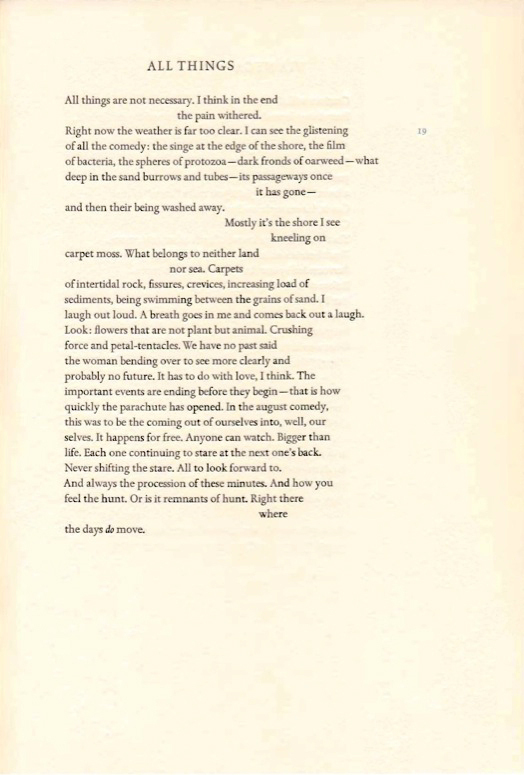 The title poem of the collection appears in this edition only. The book is 44 pages and 8 x 11 3/4 inches. A pastel drawing by Ronald Cohen was re-created on the title page and printed from photopolymer plates in colors ranging from light lemon to cadmium yellow. Text pages were printed in black from Spectrum types composed at M&H Type Foundry. Folios appear in sky blue throughout. Three hundred copies were printed on Rives Heavyweight and case bound in indigo-dyed flax paper over boards with natural color flax paper on the spine. Silk-sewn headbands grace the head and tail of each book. Signed by the author. SPECIAL COPIES I through XV were printed on Center for the Book hemp paper made by Lynn Amlie. Mick LeTourneaux designed and executed the binding which is sewn longstitch on a spine of vellum and alum-tawed pigskin. Dark blue leather covers the boards with foredge bands in natural leather. Special edition copies come in a drop-spine box. Standing order customers are offered a 20% discount. Dealer's discount is 30%. Visa and Mastercard orders are welcome.